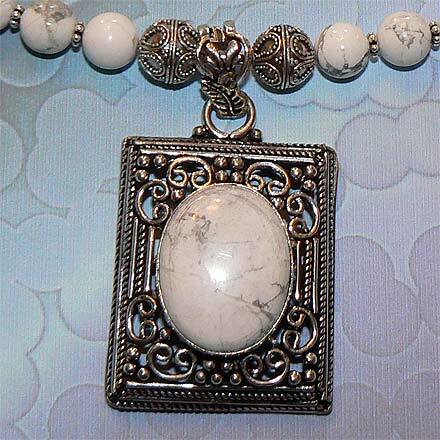 Sterling Silver Howlite Necklace. See Closeup. 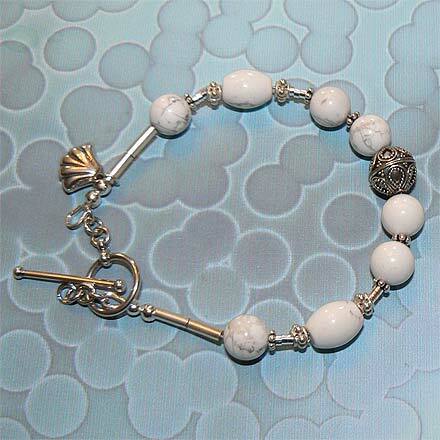 Silverpoint scratchings on an ivory white surface write the story of these Howlite beads. 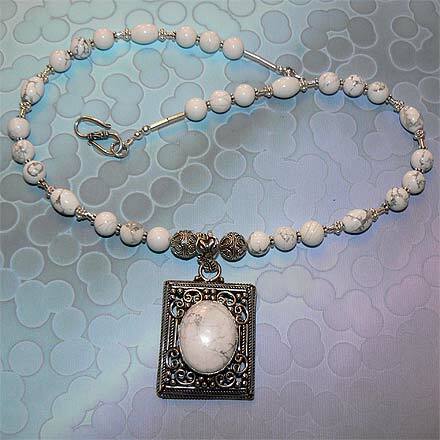 Oftentimes Howlite, a silicate found in water-soluble mineral sediments, is dyed to mimic turquoise. But why? Its stark white color and grey pencil markings is a delight by itself. For those who are interested in Astrological significances of stones, Howlite corresponds with Gemini.